Having kids doesn’t mean you won’t be having any nice meals out for the next eighteen years. 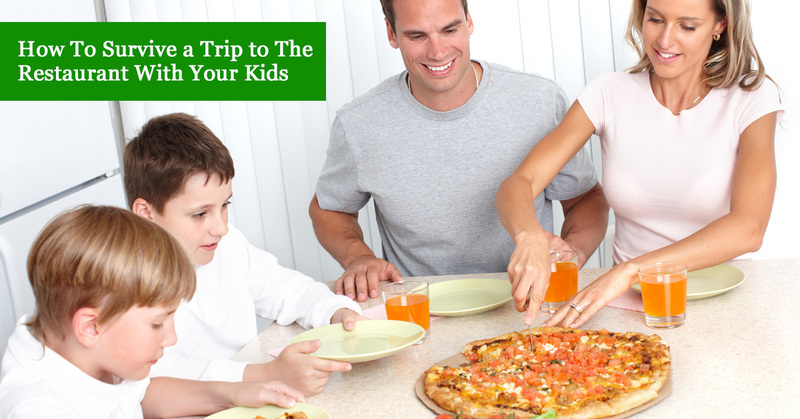 You can still have a great night out with the kids in tow! If you’ve been nervous about taking the plunge with your little ones, Upper Crust Pizza is the perfect place to start. We’re a Top Rated Local® Family Restaurant that’s super kid-friendly, so we’ll make the entire family feel right at home. If you are nervous about venturing out with the entire family, here are some tips to make your visit to restaurants in the Santa Fe area a little easier. You and your children are going to have a much better time if you pick a Santa Fe restaurant that’s family-friendly. Look for restaurants that have plenty of big booths to sit in, good parking options, and offer high chairs and booster seats (a sure sign they welcome children!). Avoid restaurants that require you to have a reservation, have a dress code, or where a meal costs more than your car payment. Save those places for a special night out when it’s just the two of you. Make sure the menu is kid-friendly. Check out the menu before you arrive. Most restaurants, especially the family-friendly ones, have their menu posted online for easy viewing. Give it a look to ensure that what’s on the menu is going to suitable for your family, including all of the youngest members. That doesn’t mean they absolutely have to have a kid’s menu, but it does mean that you can spot at least two or three dishes that your child would enjoy eating. When your child is happy with what they are eating, they are going to be a whole lot happier with the experience as a whole! 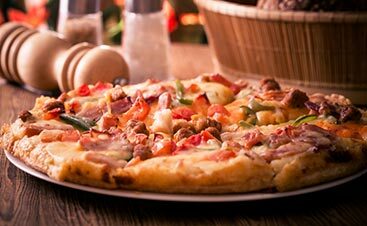 We understand how you feel…nothing sounds better than sitting down in a comfortable chair or booth after the end of a long day and chomping down on some hot, fresh pizza in silence. Unfortunately, that’s the last thing your children want to do. They’ll be excited about going out and experiencing a new place and a new taste. Give yourself the gift of peace by making sure they have plenty to do while you relax. Bring along a coloring book and crayons, a tablet with their favorite game, or a new book to read. These will all earn you some well-deserved down time. Get to the restaurant early. This will make your night out easier in a couple ways. First, you won’t be in danger of keeping your kids out past their bedtimes. Late dinners tend to run into late bedtimes. That means tantrums from sleepy kids. 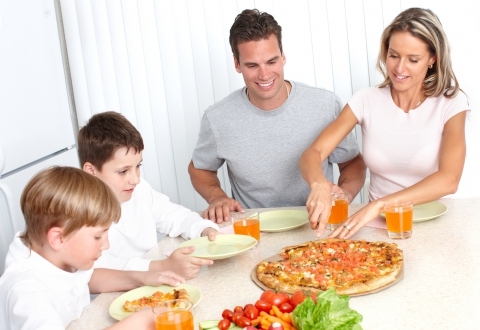 Secondly, earlier diners tend to be more family-friendly. You’ll be surrounded by families like yours, which can help you feel more relaxed. We’ll be happy to welcome you to our restaurant anytime, though, so don’t worry if you happen to be running a little late. Going out to eat with your children can feel stressful, especially if you haven’t done it much or if you’ve had a bad experience in the past. Take a deep breath and relax! Sometimes spills happen. Sometimes kids cry for reasons no one can explain. And sometimes nothing bad happens and you have a great evening out with your family where you make memories that will last a lifetime. Just remember that your kids probably aren’t annoying the other diners as much as you worry they are, and they are always welcome at Upper Crust Pizza. We love seeing their smiling faces and delivering an experience for the entire family. Are you looking for a family-friendly restaurant to bring your children for a night out? 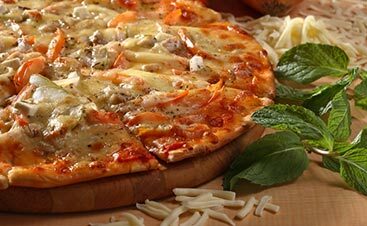 Upper Crust Pizza is the place to go! We’re one of the top-rated family-friendly restaurants in Santa Fe, and one visit to one of our locations will tell you why. Come in tonight with the entire family and experience our gourmet pizza menu along with our full bar of delicious beverages. Not ready to come in? 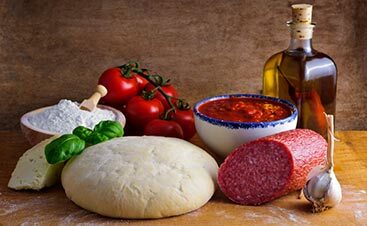 You can order our pizza online and enjoy it in the comfort of your own home, too! Visit our website for more details about our locations, menus, and how to order online today.